If you experience heartburn as a result of eating gluten, it may be an indication of gluten intolerance. Gluten is a protein found not only in wheat but also rye, barley and any foods made from these particular grains. Contact your doctor and work with him to rule out other potential causes. There's no cure for gluten intolerance at this time. 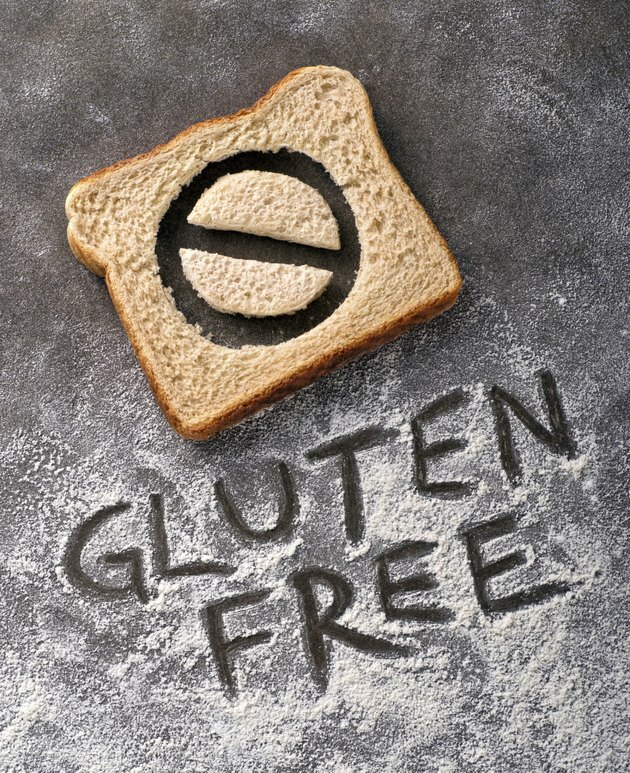 People with gluten sensitivity must follow a gluten-free diet indefinitely to prevent related symptoms. But you can still eat a healthy, balanced diet without gluten. Celiac disease is a form of gluten intolerance that involves an abnormal immune reaction in response to gluten. Over time, the condition can lead to intestinal damage. It's often challenging to diagnose because symptoms vary widely among individuals. Some people experience symptoms such as constipation, bloating and gas. Other symptoms include upset stomach, fatigue, mouth ulcers and heartburn -- also known as acid reflux. Heartburn occurs when digestive juices flow backward up your esophagus, resulting in a burning sensation in your chest. If gluten gives you heartburn, ask your physician to test you for celiac disease. Researchers examined the prevalence of acid reflux in people with undiagnosed celiac disease and published the results in the March 2011 issue of the journal "Clinical Gastroenterology and Hepatology." They found that moderate to severe acid reflux symptoms are significantly more prevalent in people with undiagnosed celiac disease. The good news is that acid reflux symptoms resolved once patients were placed on a gluten-free diet, according to the study. You'll need to follow a gluten-free diet if you have gluten intolerance. Because gluten is found in a wide variety of foods, a gluten-free diet takes some getting used to. You'll need to learn to read foods labels and identify foods that contain gluten. Breads, baked goods, breakfast cereals, pastas, pancakes, waffles, crackers, couscous, fried foods and flour tortillas are just a few examples of foods that contain gluten. In addition, ingredients such as brewer's yeast, seitan, bulgur, hydrolyzed wheat protein and some natural flavorings contain gluten. Not everyone with gluten intolerance has celiac disease. Some people have gluten sensitivity unrelated to celiac. If you test negative for celiac disease but continue to experience heartburn after eating gluten, try eliminating gluten for about 12 weeks to see if your symptoms resolve. The study published in "Clinical Gastroenterology and Hepatology" found that 12 weeks on a gluten-free diet completely resolved acid reflux symptoms in patients.